A file photo of a cocaine seizure last year. GARDA AND DUTCH police have discovered how a South African drug supplier has been exporting drugs to Ireland from the Netherlands, TheJournal.ie understands. The supplier is based in Amsterdam and controls a majority share of cocaine and heroin which come into the Netherlands from Africa and South America. He then moves the drugs on to Ireland and the UK. Intelligence gathered by Politie in Amsterdam, as well as the Drugs and Organised Crime Bureau (DOCB) has resulted in officers being able to piece together the exact movement of drugs from their arrival at Dutch ports to their eventual arrival into Ireland. The trafficker is a target for Europal, as well as the DOCB. On the Irish end, the drugs are received by two men well-known to gardaí who move the drugs to a safe location. Without the South African supplier, the Irish drug market would experience a huge shortage. He has direct links to Irish gangland and close associations to a number of senior players within Ireland’s drug trafficking enterprise. A number of women are also involved with this specific drug operation. Sources have told TheJournal.ie that dealers are using these women to stash cash in their homes. The amount of cash is spread evenly across dozens of homes in Dublin city. The dealers are attempting to reduce the impact that any garda seizure would have. However, they have increased the risk of informants as a result. The DOCB, which has been successful in a number of prosecutions against the Kinahan cartel, as well as stopping countless murders, has made one of these women a top target. Intelligence gathered by members of the DOCB has shown how the woman, who has a family in north Dublin, has links to Dutch, Belgian and UK suppliers. 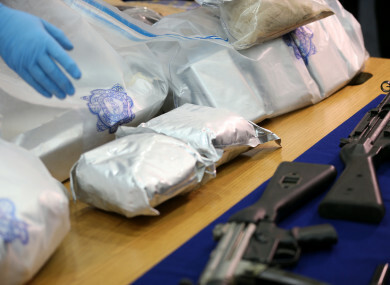 Often, the same supply routes are used to ship drugs destined for a number of gangs in Dublin. The woman is suspected of bringing in hundreds of kilos every year. Gardaí have been able to trace the movements and activities of the South African supplier by using intelligence gathered by various garda units across the country. The sharing of this intelligence with Dutch authorities has allowed the Politie work with gardaí to disrupt the network the traffickers are using. Contact me in confidence by downloading the Threema app. My ID is 3UTJ6TTE. See more details here. Email “South African drug supplier suspected of facilitating Ireland's biggest cocaine dealers”. Feedback on “South African drug supplier suspected of facilitating Ireland's biggest cocaine dealers”.